Home > Zehnder America, Inc.
As concern about indoor air quality increases, Zehnder America is providing solutions with heat recovery ventilators (HRVs) and energy recovery ventilators (ERVs). Many homes and commercial spaces lack adequate ventilation to exhaust air pollutants, moisture, fumes, and odors adequately. As new buildings become more tightly built to promote energy efficiency, it is essential to have a ventilation strategy for promoting indoor air quality by removing the air pollutants. HRV and ERV systems provide a constant supply of fresh filtered air while exhausting an equal quantity of stale air, resulting in balanced ventilation throughout the home or commercial space. Intake filters remove airborne pollutants, especially when filters with a high MERV rating are used. 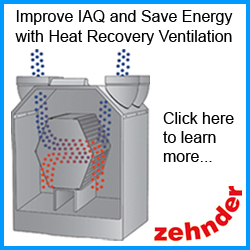 Zehnder ventilation solutions can be used for new construction and retrofitting projects. Zehnder HRV systems are the most efficient in the industry in transferring heat from the exhaust air to the intake air, promoting energy conservation. Whether installed in a high-performance project or Passive House, or used to meet ASHRAE 62.2 requirements, Zehnder Comfosystems provide the highest standard for quiet operation, energy efficiency, indoor air quality, and reliability. Zehnder America is a division of the Zehnder Group, a publicly traded company headquartered in Switzerland. 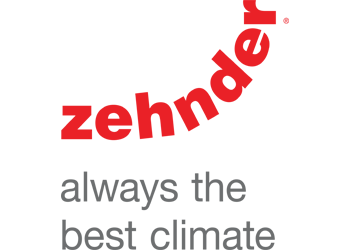 The Zehnder Group employs 3,200 people worldwide and specializes in advanced heating, cooling, and ventilation technology, which represents 40% of the company’s activity.